Posts Announcing The Bone Angel Trilogy! Announcing The Bone Angel Trilogy! My friends, it gets better and better. 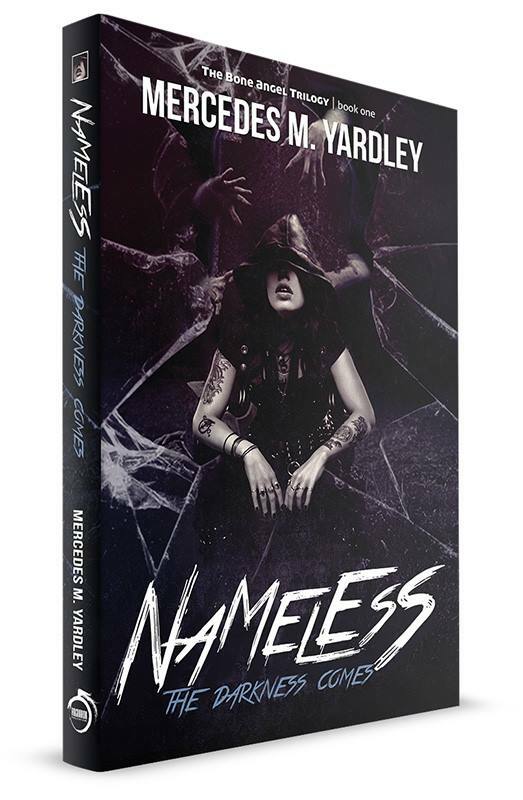 Remember how excited I was to announce my debut novel Nameless, which is coming out later this month? I’m thrilled to announce that Nameless: The Darkness Comes is the first book of THE BONE ANGEL TRILOGY, which was picked up by Ragnarok Publications. Anyway, there is a little press release HERE and here is a gander at the updated cover. I am over the moon! Tags:Bone Angel, debut novel, Mercedes M. Yardley, new trilogy, over the moon! Fantastic! Can’t wait to read them! Congratulations! That’s fantastic news, I’m already looking forward to reading these. Will we be allowed to get sign copies like we did with beautiful sorrows?